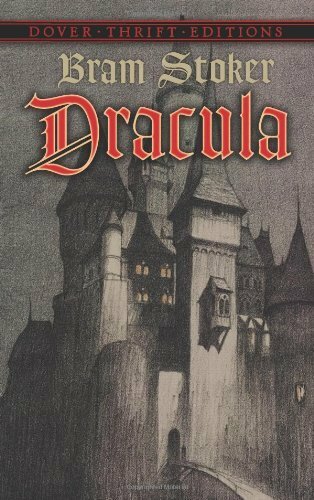 Even those who only know Dracula from a breakfast cereal or Sesame Street character can acknowledge the pervasiveness of the icons and themes of Bram Stoker’s famous Vampire throughout our culture. Even greater than the terror induced by the blood-sucking villain, however, is the cognitive tension Stoker creates throughout the novel through his use of correspondence, journals, and telegrams. The observant reader experiences a juxtaposition between the fear of anticipating whether a character has endured an outcome and the reassurance that the author (at least) has survived to complete the entry and deliver it to someone able to preserve and distribute it. The reader’s tension begins to build from the first several chapters consisting of Jonathan’s journal. Just as we begin to wonder, for example, if Jonathan’s run-in with the three vampiresses will end in his demise, it dawns on us that he must indeed have survived to write the very journal entry we’re reading! Yet having realized this, we subsequently forget the logic as we get caught up in the drama of each new encounter. Even at the end of the novel when Professor Van Helsing describes, in his own hand, his final encounter with the same Undead ladies, we must, in order to preserve the mystery that makes reading the novel so enjoyable, forget that he has already come through the other side of the ordeal. To fully appreciate this writing technique, the reader must enter a “suspension of disbelief.” With the exception of those with eidetic memory, few individual have an exceptional capability of attention and recall. Yet with our heroes, each writer is able to capture verbatim the dialog spoken by various characters. On the other hand, many religious faithful accept the veracity of Scriptural texts which have typically been written many years after the events they record occurred as well. See other books in the Curious Library. 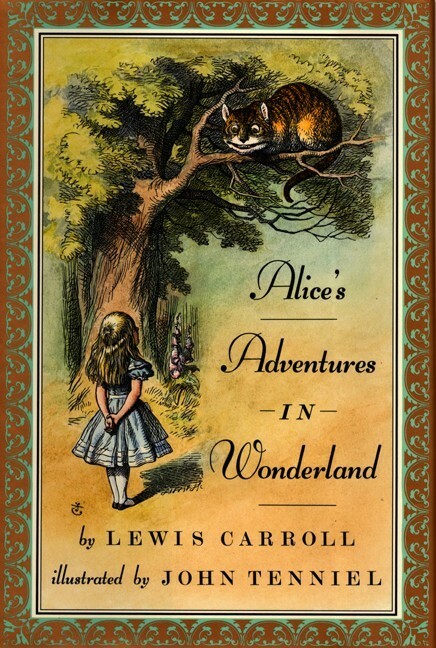 In the dream worlds Lewis Carroll creates in his pair of books “Alice’s Adventures in Wonderland” and “Through the Looking Glass,” the whimsical journeys challenge the reader to investigate the real world from the perspective of a young child. At seven years old, Alice struggles with the expectations of growing up including pressures from parents, peers, and teachers. The characters and her struggle with size both represent elements of the real world with which she is trying to come to terms. The white rabbit, with his obsession about time, represents time itself and Alice’s youth that is quickly disappearing. Her innocence and uninhibited creativity are in danger of expiring as she grows up. The Caterpillar, the March Hare, and the Hatter reflect her opinion of adults as silly creatures who live meaningless lives and who twist logic to their own advantage. The Queen of Hearts is the prototypical adult woman in Alice’s life with irrational expectations, bossing around Alice and others, and punishing everyone who crosses her. Finally, the absurd croquet game and the final trial both demonstrate how unfair and arbitrary a child must see similar institutions in the real world. Her shifting physical size represents her struggle between wanting to stay a child (but being seen as childish) and realizing she is maturing (with the fear of responsibility). After her encounter with the Caterpillar, she chooses to hold on to a bit of each side the mushroom in order to grow or shrink as the situation demands. In the same way, a mature individual can be both playful and responsible. During the trial, she finally grows big enough to assert herself. With newfound confidence, we then see her enter Looking Glass world, where Alice is willing to stand up for herself in the face of the demands and ridicule from characters like the Red and White Queens.